The Queens Jazz OverGround is presenting OKB Trio feat. Lisa Parrott at Last Word on Tuesday, Jan 23rd. at The Last Word. The OKB Trio is returning from maternity leave on Tuesday, Jan. 23rd, joined by our special guest Lisa Parrott on alto saxophone. 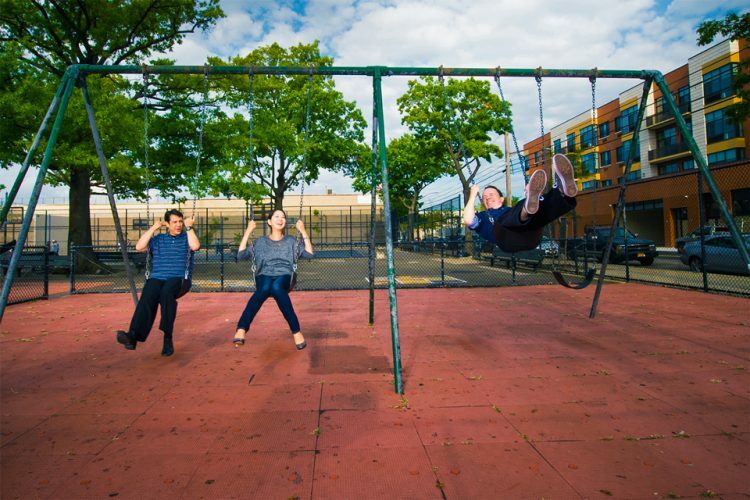 Oscar Perez, Kuriko Tsugawa and Brian Woodruff will release The Ing…, their first CD as a trio, in April 2018 on QJOG Records (yes, that’s Queens Jazz OverGround! ), and Lisa will help them preview some of the music, a mix of standards from the outer fringes of the Great American Songbook and originals contributed by all. They always keep the “ing” in the swing!